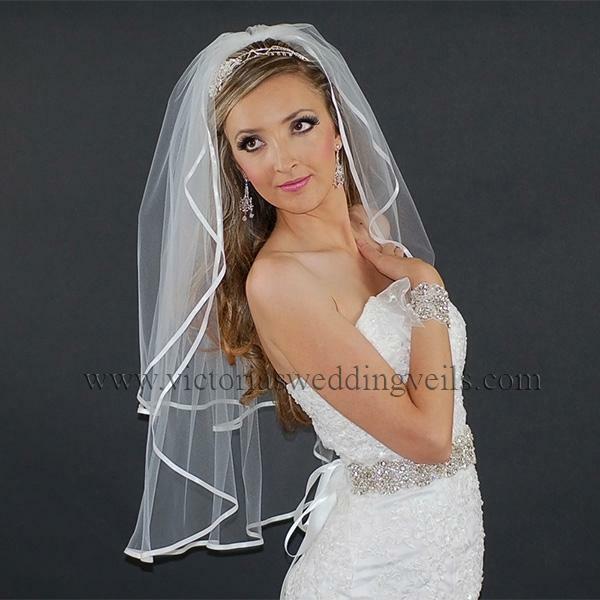 Click the button below to add the 2 Layer Bridal Veil White 1/4 Satin Ribbon Edge N21-2 to your wish list. 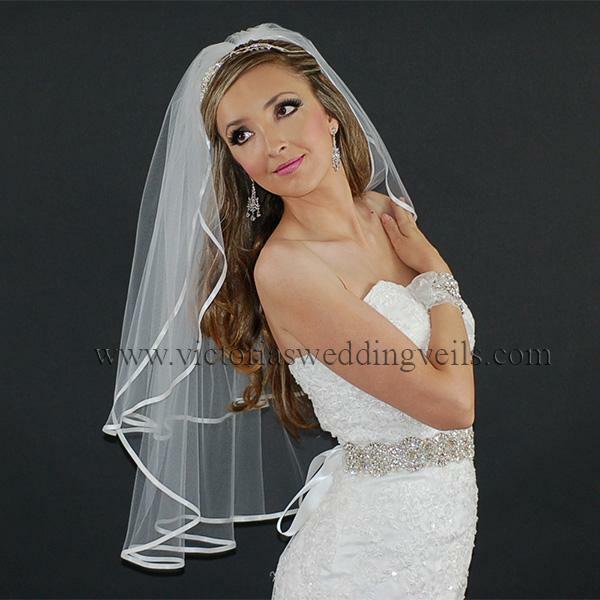 This beautiful bridal veil features two layers of 1/4" White satin ribbon edges, creating a bold, yet sophisticated look. 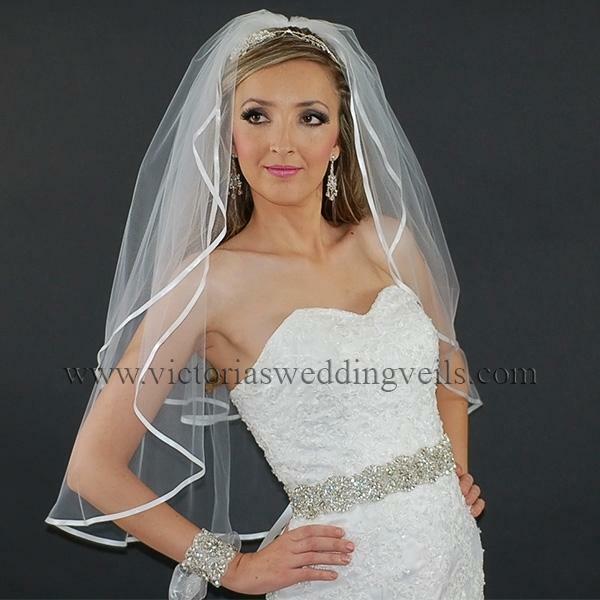 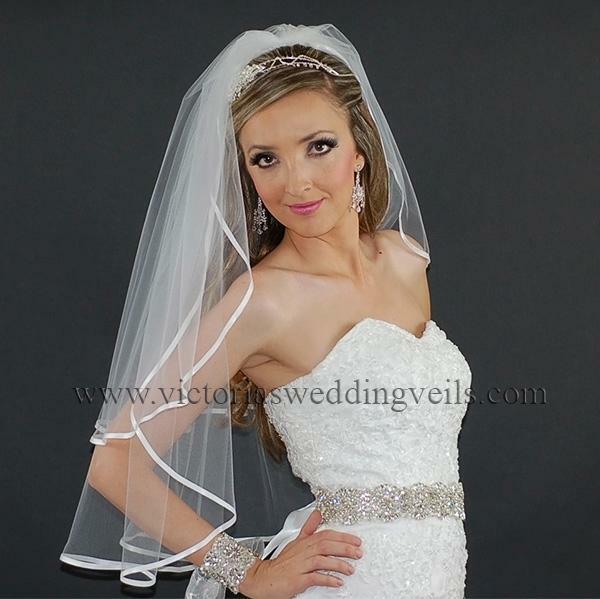 Made with high quality illusion bridal tulle, the veil measures 25"x30" (Veil Length) and 72" (Veil Width).